We designed the new system to take on the most challenging course conditions. 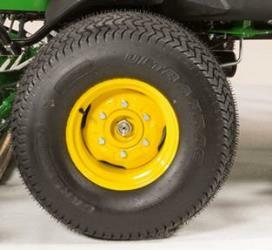 These improvements to the traction system makes the A-models ideal for undulating terrain providing superior performance and traction out on the course. 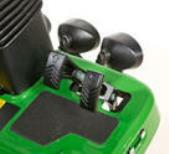 The AutoPedal feature controls engine rpm and transport speed of the machine through the eHydro™ foot pedal controls. AutoPedal is similar to an automobile gas pedal operation; the more the forward pedal is pressed, the faster the machine moves and the higher the engine rpm; pressing the pedal less, the slower the machine moves and the lower the engine rpm. 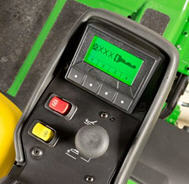 On conventional machines, the engine rpm is controlled by the operator by means of a manual or electric/manual throttle. Operators are trained to always operate the engine at wide-open throttle. Running at wide open throttle means running the engine at its fastest speed, which increases the sound levels and fuel usage. 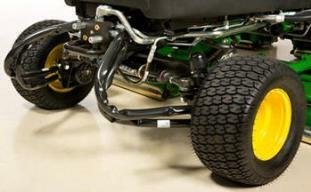 The AutoPedal system allows the engine to only run as fast as needed, meaning that as operators transport around the course, the engine speed is only as fast as needed for the transport speed. 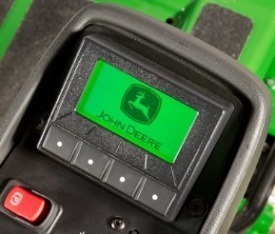 If the operator approaches play and stops, the engine rpm goes to idle. 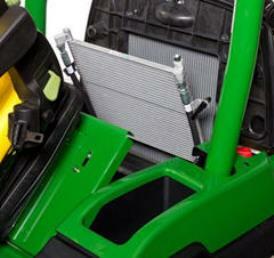 This makes transporting quieter and since the engine does not run full speed all the time, it reduces fuel consumption. Once the operator reaches the mowing site, engages the mow switch on the CommandARM™ controls, the engine rpm automatically increases to full throttle for mowing. 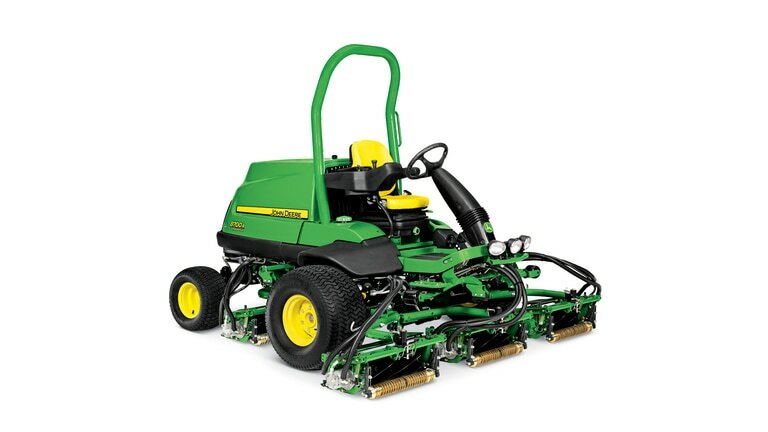 The 7700A and 8700A PrecisionCut™ Fairway Mowers allow all five cutting units to rotate to a vertical position while on the machine gaining access to the bedknife for quick in field service. 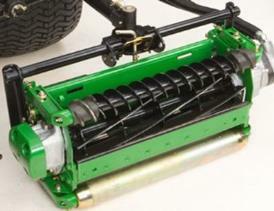 The rotate for service feature is an exclusive feature of the 7700A and 8700A PrecisionCut Fairway Mowers. It is simple and easy to use RFS. Simply use one hand to pull up on the cutting unit yoke to remove weight from the RFS spring; use your other hand to push the spring lever down on the front cutting units. Then use the hydraulic lift system on the machine to pick the cutting units up, and they will move into the vertical position. Lower the cutting units to the ground; the bedknife will be completely accessable without having to remove cutting units from the traction unit or have access to a machine lift. The 7500A, 7700A, 8700A PrecisionCut™ and 7500A E-Cut™ Hybrid Fairway Mowers all have cutting units that contact up stops for transport. 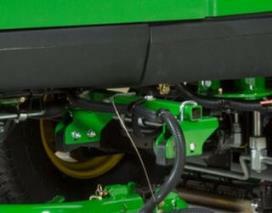 These up stops are rubber and limit cutting units from swinging during transport. 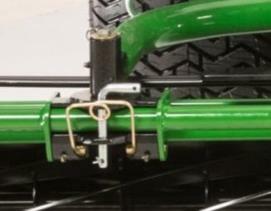 The lift system also folds the two wing units inside the tires to limit possibility of damage to the wing units when transporting through and around objects on the course.